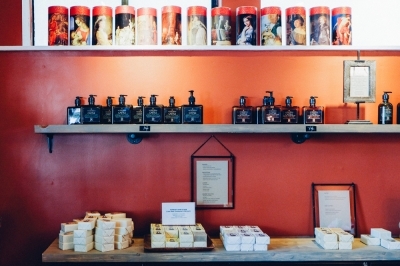 Chances are, you haven’t yet had a chance to visit the intoxicating Soap Artisan shop on Alberni St, just off of Denman. It is a hidden oasis, tucked away from all of the hustle and bustle of bike rentals, restaurants and ramen joints. Which is why, when we stumbled upon Helen’s shop, we knew we had to share the love. Owner Helen has been working with soap since she was a teenager, under the watchful eye of her grandmother. She became skilled at carving soap and soon pursued other opportunities to learn about soap making. Through consistent practice, self instruction, and experimentation, Helen developed a range of all natural soaps and candles that soothe the senses. Getting a start at the Vancouver Farmers Markets and Artisan Markets in North and West Vancouver, Helen’s shop at 1782 Alberni Street is stunningly beautiful. The arrangement of soaps (both liquid and bar), sea sponges, delicate orchids and romantic art creates a serene environment. 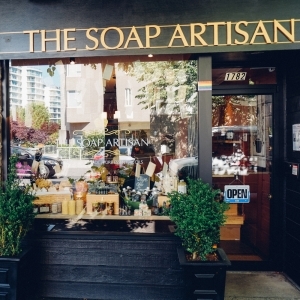 In 2013, The Soap Artisan was recognized by BC Living Magazine as being one of BC’s Best Handmade Soaps. Given the lack of chemicals and abundance of therapeutic properties, it is no surprise The Soap Artisan is growing in popularity. 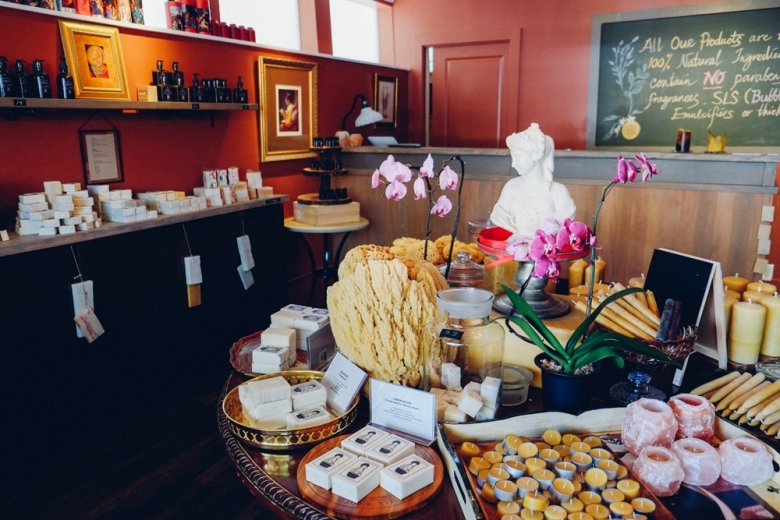 Next time you’re in the West End, be sure to stop by The Soap Artisan. 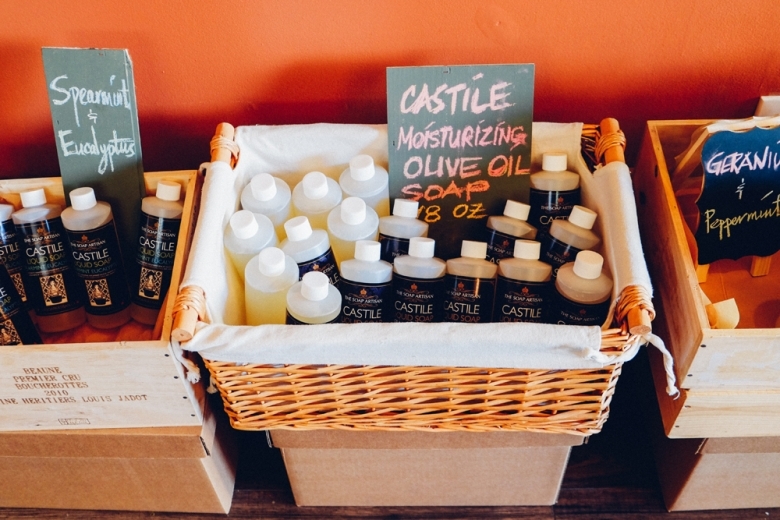 You will leave feeling relaxed and knowledgeable about the benefits of natural soaps, thanks to the kind and thoughtful Soap Artisan herself. Photographs by Caitlin Rowe for the West End BIA.